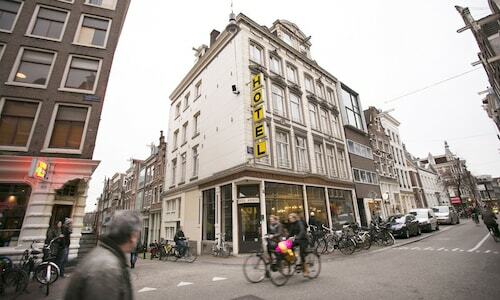 Hotels in Amsterdam start at C$90 per night. Prices and availability subject to change. Additional terms may apply. Meandering alongside the canals of Amsterdam, you ponder the essence of water. It is the lifeblood of mankind, you remember. The truth is just as Charles Mackay insisted: “Water is the mother of the vine, the nurse and fountain of fecundity, the adorner and refresher of the world.” There is something very Old World about the Netherlands’ capital city, and yet it maintains the modern flair of a metropolis very in touch with its cosmopolitan side. The old and the new dance side by side here, in a city as offbeat and gracious as your favorite aunt. By day, the canals and trams of Amsterdam transport you past stunning architecture and historic sites. By evening, the bright lights of the city sparkle under a velvet sky and tempt you to stay out past your bedtime. Whether you spend your time cycling under sleepy trees, flanked by canals and row houses, or chilling at coffee shops—the city will steal your heart. 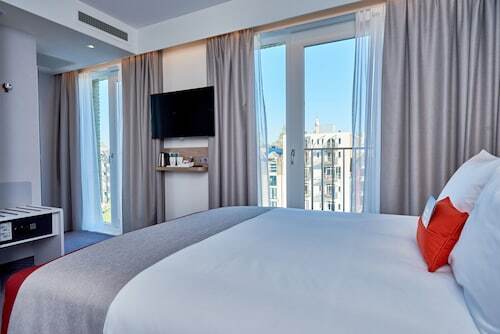 Book one of the top hotels in Amsterdam today, and your vacation in the Venice of the North will be off to an auspicious start. 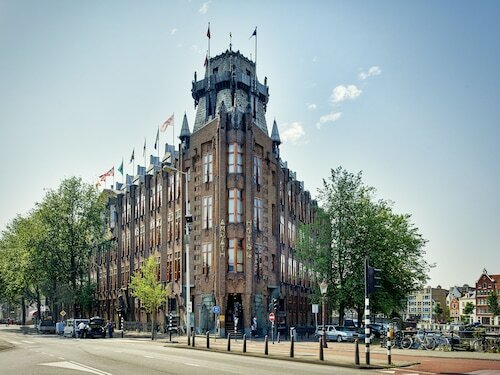 Grand Hotel Amrâth Amsterdam: Maritime enthusiasts will rejoice at this nautically themed hotel, and the exterior architecture is the most awe-inspiring in the entire city. Entering the grand lobby, a palatial vibe washes over you. Yes, you feel like royalty. When you need to unwind after a day of sightseeing, two saunas and a steam room await in the hotel spa. 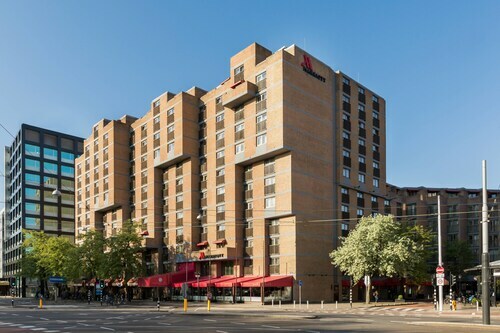 Amsterdam Marriott Hotel: Behind red brick walls you’ll find a little slice of heaven in Amsterdam. 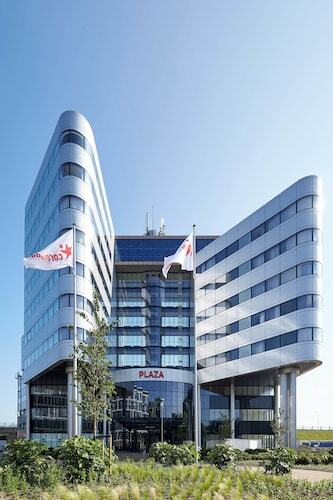 The Amsterdam Marriott is in the center of things, surrounded by canals and the best attractions. In just a few minutes by foot or cycle, you’ll be at the door of the Van Gogh Museum or Vondelpark. Return home for the evening, and sip on a signature cocktail at Sorel’s Bar and Lounge in the hotel. Renaissance Amsterdam Hotel: Sitting in the hotel lobby adjacent the roaring fireplace, a snifter of whiskey in one hand, you’ll feel like you’ve finally found your happy place. And the Renaissance Amsterdam Hotel is happy you’re happy. Upstairs, your room is modern and sleek. Let the concierge book your trip to the BloemenveilingAalsmeer (the flower auction) or set you up with a canal tour. They’re thrilled to help you make the most of your time in their lovely city. 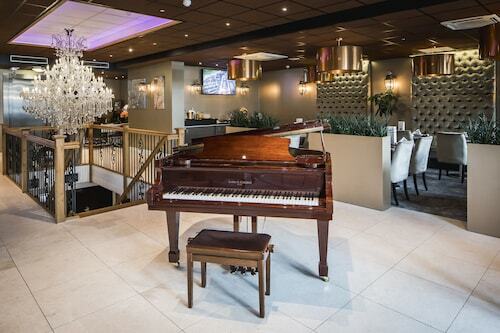 Pulitzer Amsterdam: The Pulitzer Amsterdam is one of the most quintessentially Dutch Amsterdam hotels, with an eye-catching exterior and artfully decorated interior. The hotel is comprised of 25 row houses, and many of the rooms feature authentic brick and wooden beams. 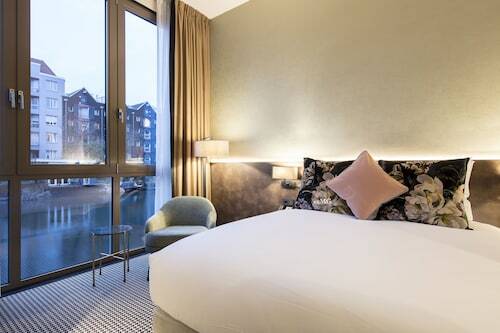 Book a canal view room, and you’ll feel like you got the full Amsterdam experience. 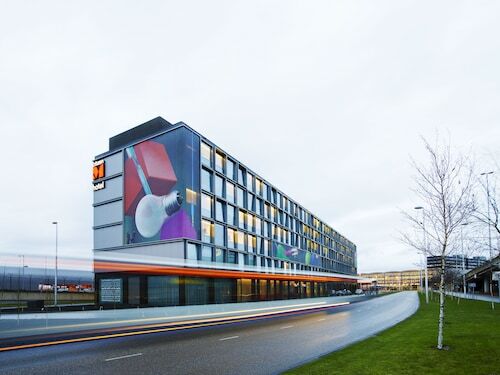 Ask the hotel concierge to take you on a “magical mystery tour” of the city. It’s the perfect outing for a wise wanderer. Your time in the Venice of the North will become one of the most cherished memories of your life. Leave your worries in the canals, and your inhibitions in the Red Light District. 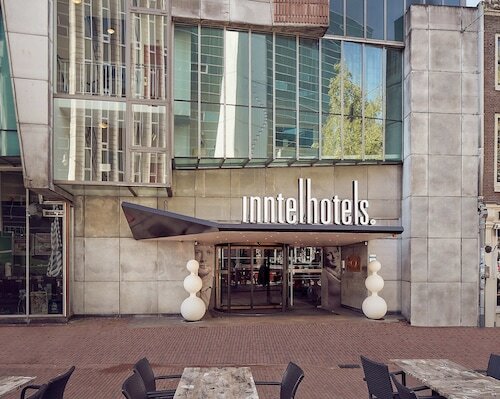 Whether you book cheap hotels near Amsterdam or upscale accommodations in the heart of the city, you can find your fill of stroopwaffel nearby. Amsterdam hotel rooms always come with a bucket of hospitality and an abundance of elegance. Pack your bags today, wise wanderer, and prepare for a relaxing time on the canals. Staff were all very friendly and ready to help. Location was great! Room was good size and clean. 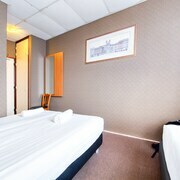 Hotel was fantastic, spacious room and bath, comfortable bed. Did not get to spend much time enjoying it as Amsterdam kept me busy! This was in a good location within walking distance to many of the sights, and also close to public transportation. The staff was extremely friendly and helpful. 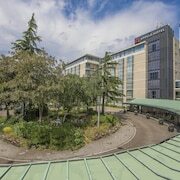 This was a great hotel, pleasant and helpful staff. They did everything possible to help me out as a "foreigner" in their hotel. The room was clean, nice beddings, hard mattress👍 and the bathroom fully remodeled. Breakfast spread was pretty good (especially the coffee ☕️) . Location wasn’t bad once you learn your way around. The receptionist were very attentive. 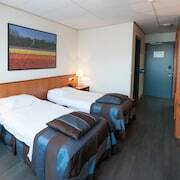 No daily service for the room. Noisy and no elevator. Sink in the room. No closet or drawer space or luggage rack. Small room. TV didn’t work. Great location and friendly staff.